When you sponsor a child, you are investing in their life. You are stopping poverty from robbing their futures, and allowing them to learn, grow, pursue their dreams, and realize their full potential. Sponsor a child, change the world. 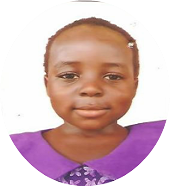 Margaret Alalivoto is five years old and wants to be a teacher when she grows up. She is the youngest of three children, all of whom live with their mother in Ablekuma, a low-income community in Accra. Margaret’s mother is a young, single mother who does not have much education and struggles to find stable employment. Margaret’s mother does manual labor on a day to day basis in order to provide for her children, but it is not enough to be able to sponsor Margaret’s school fees. Margaret is a brilliant child, but because her mother cannot afford to send her to school, she is not able to learn and develop her capabilities. Through a sponsorship, you can give Margaret the opportunity to attend school, focus upon her education, and pursue her dreams. BOHF requires that all sponsors commit to a minimum of one year of sponsorship. 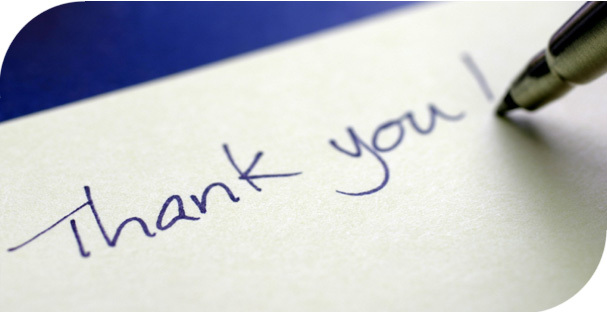 Please visit our Sponsorship Guidelines and Child Sponsorship pages for additional information. 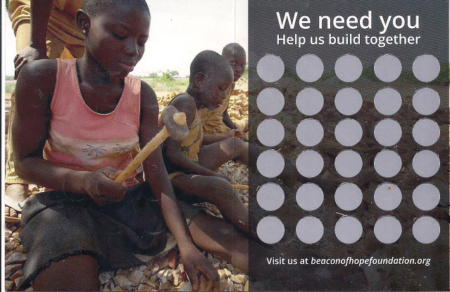 Founded in 2015, Beacon of Hope Foundation is a Ghanaian non-profit, non-governmental organization on a mission to rescue children from homelessness, abuse, and child labor, and in turn, set them up for bright, financially stable futures through comprehensive child sponsorship and community development programs.